Directions: Located in the heart of downtown Seoul. 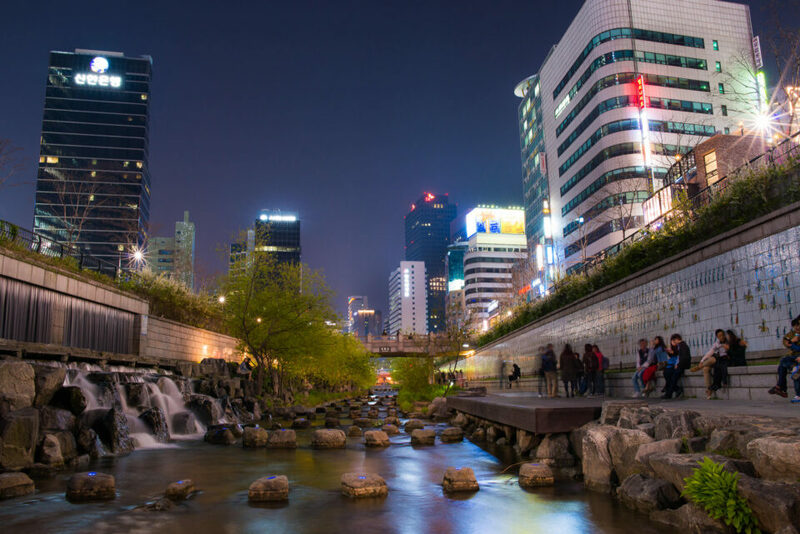 The "start" of the revitalized river is nestled between Seorin-Dong and Da-Dong districts just 3-4 blocks north of City Hall. The entrance is marked by low fountains and a short waterfall which is lit up at night. The area is open 24/7 and stretches a whopping 7 miles in length. 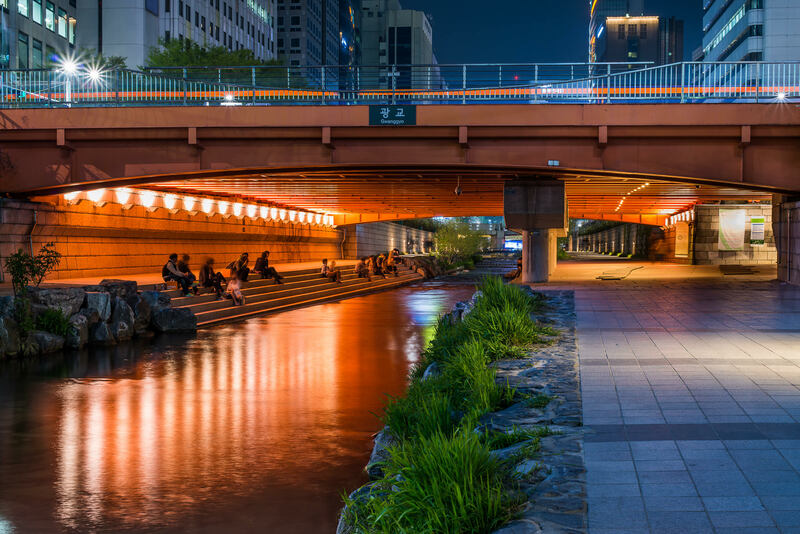 Cheonggye stream (Cheonggyecheon) is a revitalized stream/river that was once paved over during the rapid development of Seoul after the Korean War. 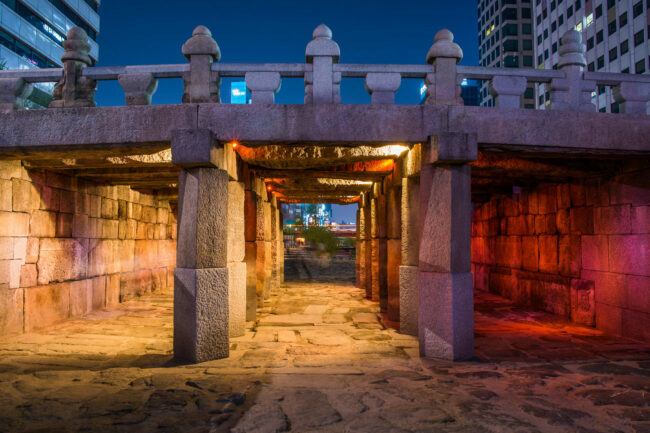 After relocating the multiple merchants who have previously occupied the space, the area was restored to offer an escape from the bustle of city life for the citizens of Seoul. The stream is below street level so many of the sounds of city life fade into the background while walking along the stream. Even though many of the roads have been closed walkways and few bridges still exist for crossing the area many with decorated underpass walkways as seen above. Cheonggyecheon at night is also a popular location for young couples to meet and wander so even at night the area is still buzzing with people. While you can easily see the tall buildings poking out above the edges of the park, you still get a sense of nature and calm right in the middle of a huge metropolis. 1. Tripods are allowed and if shooting here after dusk is a must. 2. Set up with caution as this place is busy around the clock. 3. Travel light if you want to see the whole thing.